HGTV Faces of Design VOTE NOW! Excited to announce that we are a final nominee in the HGTV Faces of Design Awards! Our St. Stephen's Residence project (designed by Bob Wetmore, along with interior designer Velvet Hammerschmidt) is a final nominee in the 'Unique Spaces' category. Visit the link below to check out all the projects and then vote for your favorite! 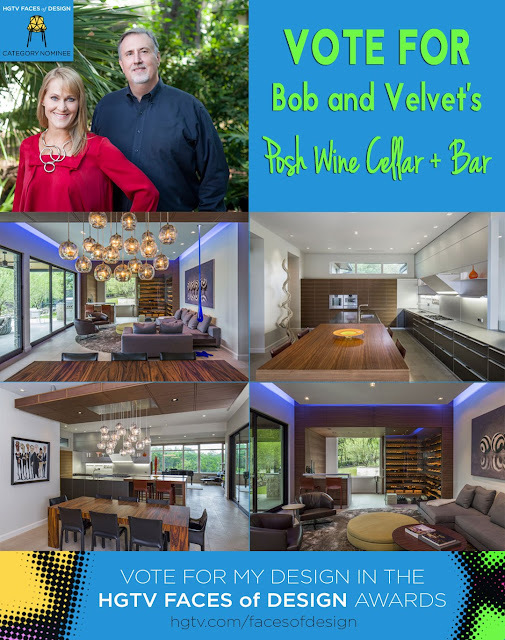 We're sure it'll be Bob and Velvet's 'Posh Wine Cellar + Bar' :). You can VOTE HERE once a day through the end of September. Thanks!